General Lifts – What are the Differences? Your local CIL can help you in your decision! Before a caregiver tries to physically lift someone, it is best to look into obtaining a lift. 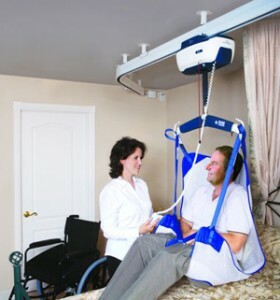 This will assist a caregiver in the lifting process, such as from a bed to a chair. This type of device adds a measure of safety for both the consumer and assistant. Before looking into obtaining a lift, it is important to discuss this with your health care professional and obtain a prescription. The prescription can then be given to your local durable medical equipment provider. There are many different types of lifts, which include manual and power lifts, stand-up lifts and track lifts. Manual lifts are typically less expensive and use various slings. The assistant controls the lift and no power supply is needed. This type of lift is very portable. Considerations for a manual lift in particular are they may be difficult for one assistant to operate safety and larger casters work better on plush carpets. Power lifts require electricity via an outlet or rechargeable battery. Emergency backup is available in a power outage and a remote control feature can help the assistant make sure the lift is moving properly. Considerations include that two assistants may still be needed for a safe lift and although there is a remote control, the consumer trying to lift him or herself is not recommended. The difference for a heavy-duty (bariatric) lift is the weight capacity is usually around 600 pounds and they are wider, which adds more stability. These types of lifts come in both manual and power models. Depending on the situation, more than one assistant may be needed. The stand-up lift usually works well when someone needs to be lifted from a seated position. In addition, it is convenient for weight-bearing exercises and using the toilet. Hand grips can assist in increasing stability during the movement. Considerations include the person needs to have some upper body strength and head/neck control. The consumer must also be able to bend at the hip, knee and ankle. The track lift is usually a product that is mounted to the celling, although there are also other variations. The track lift is nice because it can be modified to the needs of the consumer and they do not take up floor space. The person wears a sling attached to a motor that runs along the track in a lateral movement. Many people use this type of device to move from the bedroom to the bathroom, for example. The product will lift and lower a person with a remote control. When thinking about what kind of lift will work the best, it is important to consider various factors. These include information about the consumer and environment. The weight of the person, their height, how much ability they have to stand or bear weight and the type of sling they may need are important. In addition, the type of flooring and casters needed should be considered. Article by Mellowdee Brooks. She has over 7 years of first hand experience living with a disability. 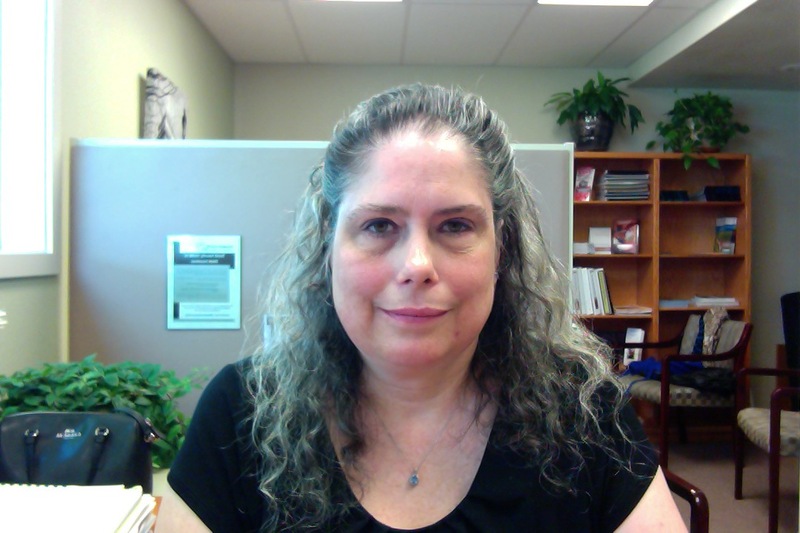 Her training includes a M.Ed in Special Education, Assistive Technology Professional (ATP) and Speech and Language Pathology Assistant (SLPA). She is ready to empower the consumer and empower them to be a part of the system change by advocating for themselves.